"On my fourteenth birthday when the sakura was in full bloom, the men came to kill us. We saw them come, Aimi and me. We were excited, because we did not know how to be frightened. We had never seen soldiers before. I've wanted to read a book by the lovely Zoe Marriott for some time now. I've had Shadows On The Moon, sitting on my shelf since last December and just never found myself getting round to it. 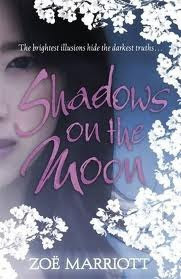 Thanks to the awesome Bluewater YA bookclub we chose Shadows as our book for October - YES I FINALLY GET TO READ IT!!! The cover is beautiful. So subtle and delicate, but gives you the setting and atmosphere of the book. Huge thumbs up!! I read a interview with Zoe before starting the book and when I read that it was a slight retelling of Cinderella, I did a little inward groan. I just felt I had read so many fairytale revamps that I didn't see how it could be done differently again. I am thrilled to say I was completely wrong on all counts. This was completely new and to be honest it was a very loose adaptation and so felt very fresh. I'd never read a book with a Japanese setting before either, so yet more new ground for me. I hold my hands up to be rather uneducated in these matters and found myself rather confused by the names of people and places. Also objects they used were quite foreign to me. I have to admit to needing a glossary, I think it would have enhanced my enjoyment of the story somewhat. The story is rather dark and understandably the character of Suzume suffers greatly through this. I was really surprised by the way in which she deals with her depression and really didn't expect to find this in a fantasy set book. I totally applaud Zoe for her handling of it. Its a subject that doesn't in my opinion get much coverage and any highlighting of it is needed. Although I had times of not fulling understanding the story due to my ignorance, I was absolutely thrilled with the conclusion. It was rounded off really neatly and was as happy a end to the story as you could expect, which was a much more realistic way to finish the story. Zoe's writing is incredible and pulls you straight in. I can't wait to read more from her in the future, just hope I'll understand more of the setting next time. 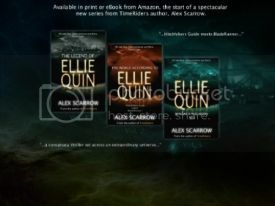 Great review :D I LOVED this book!